Business and private use– what can you claim? If you run your own business, you can deduct allowable expenses in working out your taxable profit. The general rule is that an expense is allowable if it is incurred wholly and exclusively for the purposes of the business. 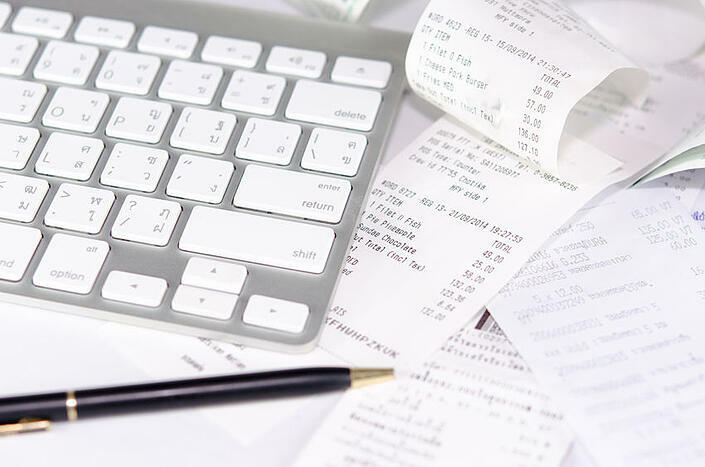 This rule is straightforward where an expense is incurred that relates solely to the business, as may be the case for office costs, staff costs, advertising etc., however, complications arise if an expense has both a business and a personal element. Where something is used for both business and personal reasons, such as a mobile phone, you can only claim an expense deduction for the proportion that relates to the business. Mark is a self-employed carpenter. He has a mobile phone which he uses for both business and personal calls. For the tax year in question, his calls came to £360. Of his calls, 80% relate to business and 20% are personal. In computing the profits of his business, Mark can claim a deduction of £288 (80% of £360) in relation to his business phone calls. Where an asset, such as a car, is used for both business and private use, an apportionment calculation is also necessary for capital allowances purposes, too. Capital allowances are only available to the extent that the asset is used for the business. Lucy is self-employed and has a business making curtains. She bought a new car for £20,000, which she uses both for her business and for personal use. The car has CO2 emissions of 125g/km. Business use accounts for 60% of the use of the car. As there is both private and business use of the car, it must be allocated to a single asset pool. Capital allowances are given at a rate of 18%. In year 1, capital allowances are £3,600 of which 40% is disallowed as relating to the private use. She is therefore entitled to capital allowances in year 1 of £2,160 (60% of £3,600). If your business is based at home, you can also claim a deduction for certain household expenses to the extent that they relate to the business. For example, it is possible to claim a deduction for a proportion of your electricity, gas, council tax, internet, telephone and cleaning costs. The expenses must be apportioned on a just and reasonable basis. It is also possible to opt to use the simplified expenses to claim a deduction where home is used for work or for mileage costs (as long as capital allowances have not been claimed). This removes the need to keep detailed records of actual expenses and the extent of business use. For more information on business and private use- what you can claim or for any other tax related matters get in touch with us at Inform. What are the dividend rules for 2016/17?